PlayStation LifeStyle is doing our year-end awards slightly different from previous years. We wanted to put more importance on the act of getting nominated for an award, so we limited each category to five games. That’s not many, especially in a year stacked with great games like 2017 was, so it took a lot of careful deliberation to simply come up with each list. As far as fighting games go, it was a great year in gaming. Not only did Tekken makes its grand return, but we saw new entries in Injustice and Marvel vs. Capcom as well. Plus, there were plenty of other releases from smaller studios. 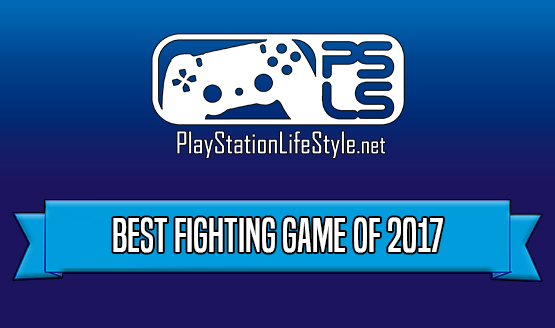 The winner of our Best Fighting Game of 2017 award will be announced next week on Tuesday, December 26. It will be a part of a week-long celebration of the best PlayStation 4 and Vita titles of 2017. Ultimately, it’ll conclude on Friday, December 29, where we’ll reveal PlayStation LifeStyle’s Game of the Year 2017. This year will go down as one of the greatest years of gaming ever, so we’re very excited to unveil all of our picks! Of course, we’d also love to hear what you think. Let us know in the comments below what you believe is the best fighting game of the year, and which nominee you’ll think will win the award! Will Tekken 7 bring its series back to the top? Or will another fighting game cause an upset? You’ll find out next week! View the rest of the announced year-end award nominees.